Established by Rayfish Enterprises Ltd. Avenue 18, as a fine Tea merchant, located in Greater Vancouver, Richmond City of British Columbia, strives to select the best products to bring you the exquisite experience of savoring fine teas. We offer an extensive selection of fine fruit teas, herbal teas, and flavoured black teas, green teas, Premium Darjeeling, Assam and Ceylon tea from Europe and South Africa Rooibos tea, as well as Formosa High Mountain Oolong tea, Dong Ding Oolong tea, and Premium Japanese teas with delightful aroma from Taiwan and Japan. Each type of tea has its own distinguished packaging for you to enjoy, to experience and to discover the allure of the TEA. In addition to the teas, Avenue 18 also carries many delicate teapots, such as Hario, Koransha, Lin's Ceramic, Tokoname and other tea accessories to enhance your tea drinking pleasure. 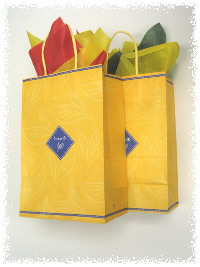 All of our selections make wonderful gift ideas for any occasion. Bring the joy of these unique teas to your families and friends!